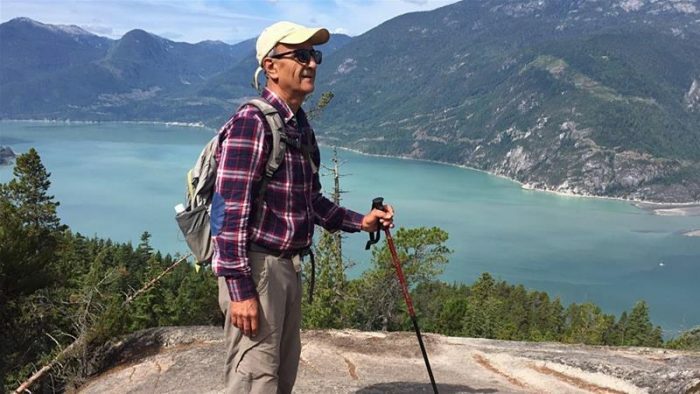 Kavous Seyed Emami, an Canadian-Iranian sociology professor, joined the ignominious list of prisoners to have died in the Iranian regime’s notorious Evin prison, including being the second Canadian citizen to die in Iranian custody. The regime claimed that Seyed Emami hanged himself in his prison cell although virtually none of his friends, family or the Canadian government believe it. Seyed Emami was co-founder of the Persian Wildlife Heritage Foundation, a nongovernmental organization fighting for the protection of indigenous animals, including the rare Asiatic cheetah, of which there are believed to be only about 50 remaining in Iran. He had been arrested two weeks earlier along with seven other environmental activists who were accused of using their work as a cover for passing intelligence to foreigners, regime officials said. The public prosecutor of Tehran, Abbas Jafari Dolatabadi, said that Seyed Emami killed himself after confessing to wrongdoing, but did not offer details according to the Los Angeles Times. “Since he knew that many confessions had been made against him, and he himself had made confessions, he has unfortunately committed suicide in prison,” Dolatabadi was quoted as saying by Tasnim news agency. Alaeddin Boroujerdi, head of the national security committee in Iran’s parliament, said he watched closed-circuit video showing Seyed Emami changing clothes in his prison cell. That indicated he was “getting ready to commit suicide,” the lawmaker was quoted as saying by Mizan, the mouthpiece of Iran’s judiciary. Several other people with ties to the foundation were also arrested, according to reports in Iranian media. Among them were Hooman Jokar, vice chairman of the board and head of the cheetah desk at Iran’s Department of the Environment, and Morad Tahbaz, an Iranian American businessman and board member. The pattern of arrests follows similar arrests of dual-national citizens under the administration of Hassan Rouhani and has become a favored tool of international blackmail and negotiating leverage for the mullahs. In the case of Seyed Emami and his colleagues, the shift to targeting environmental activists results from the larger problems the regime faces as its gross mismanagement of Iran’s natural resources has turned much of the once-fertile countryside into a parched wasteland. Historic lakes have dried up and farmland has turned to dust bowls, while entire villages and provinces lack water and food prices have skyrocketed; all of which has contributed to the spark of rebellion and protests sweeping across Iran. The regime’s policies have bordered on criminally negligent with an excessive building of dams that have disrupted natural watersheds and diverted dwindling water supplies from recharging wetlands and aquifers to urban centers and major cities. Things have gotten so bad, that much of Iran’s countryside joined in national protests sparked by the lack of food and water, representing then gravest threat to the ruling mullahs since the Islamic revolution. For the Canadian government, the list of its citizens who have been imprisoned, raped, tortured and murdered grows ever longer and has stirred some Canadian leaders to call out the Iranian regime. “Zahra Kazemi. Hamid Ghassemi-Shall. Homa Hoodfar. And now Kavous Seyed-Emami. All four are Iranian-Canadians who were imprisoned and maltreated by the Iran government after their arrests on dubious charges of espionage,” the newspaper said. “There is a hollow familiarity to Mr. Seyed-Emami’s death, and to Iranian officials’ claims as to how it came about. They say he committed suicide, but they are so unsure of their ability to defend that claim that they told Mr. Seyed-Emami’s family that there would be no autopsy, and ordered them to quickly bury his body without ceremony on Tuesday,” the newspaper noted. The newspaper went on to cite other instances of brutality visited on other dual nationals and warned that Ottawa should press for answers and hold the regime accountable for the deaths. The blatant nature of Seyed Emami’s death and the link to silencing environmental critics, just as the regime has targeted members of the Iranian resistance movement, journalists, students, artists and religious and ethnic minorities in such spectacularly public ways that even the Iran lobby cannot help but criticize the regime without looking like pathetic shills for the mullahs. “The death of Iranian-Canadian Kavous Seyed-Emami while in custody at Evin Prison on vague charges of espionage is deeply concerning. NIAC calls on Iranian authorities to allow an independent autopsy and uninhibited investigation into the circumstances that led to Seyed-Emami’s death in order to determine whether his human rights were violated and to hold accountable those responsible. “Iran is facing major and serious environmental issues which have worried the population at large, and the government needs to take those concerns seriously. Instead, given the treatment of Seyed-Emami and other environmental activists by Iranian authorities, it appears that Iran’s government is intent on securitizing the environmental sphere like so many other parts of Iranian society,” the NIAC said. It is worth noting that an autopsy is unlikely since the regime buried the body quickly and has no plans on resurrecting it for scrutiny, which makes the NIAC statement a nice PR stunt, but little more effective than a polite cough. Far more effective than the toothless NIAC statement was the joint letter written by four leading Iranian academic societies to Rouhani demanding answers to Seyed Emami’s death. As Iran’s leading scientists join with the working poor in condemning the regime’s actions, the scope and depth of dissatisfaction within all levels of Iranian is becoming increasingly apparent. We can only hope it spreads and strengthens in the face of more reactionary actions by the mullahs.